The name of this book is 'Ramrama'? There is no reason to be afraid of readers of such a name, this is a vegetarian book, like my other light works. Three articles have been compiled in this book as belles-lettres, delicious stories and delightful articles. In context, there is an essay in it "Ghotoker mrityu" it can not be called delightful. 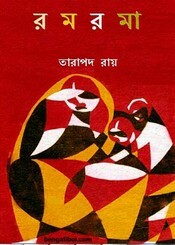 But it is my first writing story, I kept it in the book, due to its personal weakness- The author, Tarapada Roy. The ebook pdf has 138 quality pages with 7mb file size and thirty one stories.